The cost of air travel has always been a strain on many families' budgets, and in recent years, most airlines have added a host of additional fees to already pricey airfares that hit your wallet even harder. After having held out for a long time, JetBlue (JBLU) finally bit the bullet and joined most of its peers in starting to charge fees on checked luggage for some passengers as of July 1, with added costs of as much as $25 a bag. For travelers, it has gotten harder to avoid getting nickel-and-dimed by airlines. With some effort, though, there are still a few things you can do to protect yourself. Let's look at four things savvy travelers can do to reduce their baggage-fee hit. 1. Look at upgrades that include free baggage. Many airlines that charge their coach passengers baggage fees have more lenient rules for those who buy more expensive airline tickets. 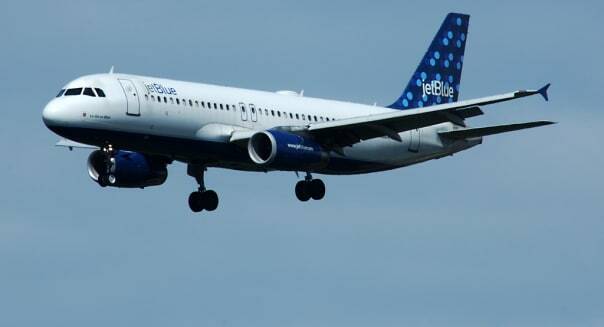 In JetBlue's case, for instance, the Blue Plus fare includes one free checked bag and the airline says that the added cost should be less than a full $25 baggage fee. In some cases, making the more extreme move to upgrade to first class or business class can actually make a lot more sense when you take baggage fees into consideration. For instance, at Delta Air Lines (DAL), travelers within the U.S. and Canada can get three free bags weighing up to 70 pounds each by buying a first-class or business-class ticket. By contrast, in the main cabin, you'll typically pay $25 for the first bag and $35 for the second and excess baggage fees of $150 for the third bag can apply. For a round-trip ticket, saving as much as $420 in baggage fees can often make a first-class ticket worth it, especially when you consider the additional perks involved. 2. Consider getting an airline credit card. Many airlines have branded credit cards that offer baggage-fee savings. American Airlines (AAL), Delta and United Continental (UAL) are among the major U.S. carriers whose cards offer at least one checked bag free. Some cards also give baggage-fee savings not just to the cardholder but also to family members and other companions flying on the same reservation. Delta in particular is quite generous, extending benefits to up to eight companions. Several of these cards have substantial annual fees, which erodes the savings somewhat. Nevertheless, if you fly frequently, it can be worth it to pay these fees in order to save even more on baggage fees in the long run. 3. Get frequent-flier status in airline loyalty programs. Those who reach certain status levels in airline frequent-flier programs often get some of the same baggage-fee perks as first-class passengers. Again looking at Delta, the airline offers three free bags to Diamond and Platinum Medallion members even when they're flying coach, two free bags to Gold Medallion members and one free bag to Silver Medallion members. Similarly, United offers free baggage to Premier Platinum, Gold and Silver members, with higher tiers getting more bags. 4. Ship your stuff separately -- in advance. Some travelers have discovered the convenience of having bags shipped to their destinations separately. Although the fees that carriers like FedEx (FDX) and United Parcel Service (UPS) charge are sometimes even more than what you'd pay in baggage fees, you don't have to worry about lugging your bags into and out of airports or on your transportation to and from your home. Shipping fees vary greatly depending on where you're going and how much advance time you can give before sending your baggage. For the right situations, though, separate shipping can be a great way to put the money you'd otherwise spend on airline baggage fees to better use. These tips won't always allow you to pay no baggage fees at all. By giving you some alternatives, though, they'll at least offer a possibility of avoiding the worst the airlines can do to you. Motley Fool contributor Dan Caplinger decided to beat baggage fees by becoming a pilot. You can follow him on Twitter @DanCaplinger or on Google Plus. He has no position in any stocks mentioned. The Motley Fool recommends FedEx and United Parcel Service. Check out The Motley Fool's one great stock to buy for 2015 and beyond.